Sometimes there is no better feeling than getting behind the wheel of a wholly capable and powerful vehicle that will deliver the practicality you need while still offering a thrilling driving experience every time. BMW X series SUVs can provide drivers with all of this and more. Mississauga residents interested in obtaining this superior class of vehicle should visit us at Pfaff BMW to find their ride of a lifetime. Read on to learn the everyday benefits of driving a Sports Utility Vehicle. The added ride height attained in SUVs is always advantageous to the driver, as sitting up higher means you can see further down the road, with the capability to view what is going on over other traffic. This extra vantage point can help you to prepare for incoming hazards and aid in avoiding trouble. When paired with the latest BMW tech, this vantage point, plus the assistance and safety systems working for you under the hood, means an all-around safer vehicle. Carry extra people and cargo more efficiently than other vehicle classes on the market. Larger trunk space, with adjustable seating, allows you access to the best of both worlds. Whether you are looking to use the numerous seats for family or friends, or the roomy trunk to stow your cargo for the next big adventure, SUVs have the capacity to do it all. Easily traverse any terrain that you encounter on your travels when you drive a BMW SUV. On top of the higher clearance and stronger suspension, this class of sports utility vehicle provides you with the power and strength to explore new roads, taking your adventures to new heights. With enough towing capacity built right into the design of the vehicle to pull trailers packed with your favoured hobby, whether its horses, motorcycles, boats or other substantial equipment, you have the versatile capability to do it all, and look good while doing it. When SUVs first burst onto the automotive scene many years ago, they were known for having poor fuel efficiency. Now, as they have become a staple in North American living, the newest SUV models have better gas mileage than ever before. 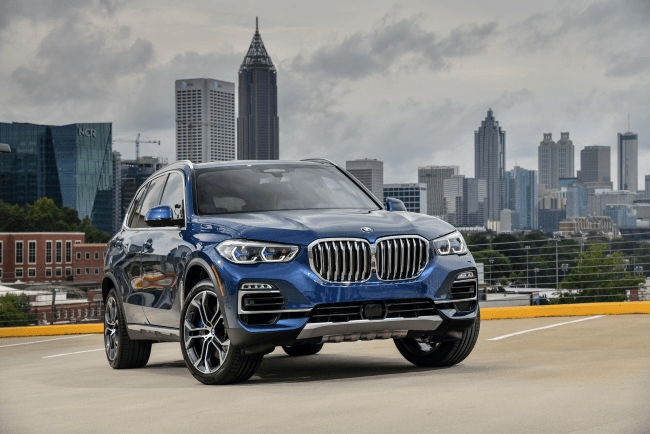 Mississauga residents interested in this supreme class of vehicle should visit us at Pfaff BMW to test drive the latest SUVs in the lineup today. For more information about how you can get behind the wheel of one of our superior vehicles, please feel free to continue to browse our website. Click here to find our contact information, schedule a test drive, or to fill out our contact form for further assistance.